When discussing the most popular blackjack variations, it is a must to mention Multi Hand Blackjack. As the name suggest, this game allows the players to play more than one hand per a game. Generally, it is played with five, six or eight decks of cards and the rules are almost the same with the other blackjack games. Nevertheless, players all over the world recognise it as one of the most attractive and exciting blackjack variations. For further information about the game rules, house edge and optimal playing strategy keep reading this text. This is a game played with five, six or eight decks of 52 cards. The player in this game can play more than one hand in a single game session. This rule makes blackjack variation unique and exciting to those who want a fast paced game-play. Every hand is played separately and the main objective is to score a blackjack and beat the dealer’s hand. Certain casinos allow the dealer to peek for a blackjack, while others do not allow this. The same can be said for standing or hitting on soft 17. In any case, a card score higher than 21 is considered a bust and whoever has it (player or dealer) loses the game session. No matter the Multi Hand Blackjack variation, the player is not allowed to surrender. However, some rule modifications allow the player to double on any hand, while others allow doubling on 9-11 only. Similarly, in some casinos the player can double after splitting and in some he cannot. This is why knowing the exact game rules is crucial for a good game strategy. 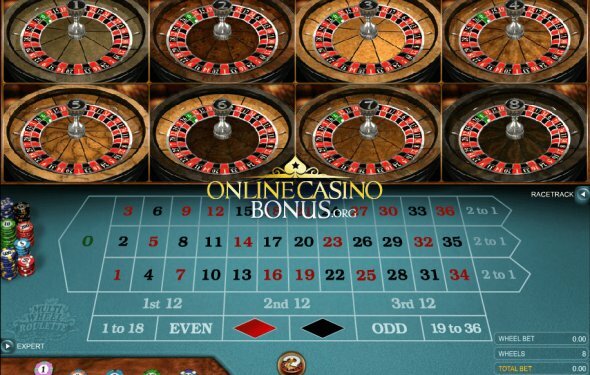 However, the player can play simultaneously more than one hand in a single game and use different strategies for any of the hands. Placing insurance bets with a payout 2:1 is possible right after the player and the dealer receive the first two cards. The game continues until the player and the dealer finish their hands and the winner is known. If the player wins, he gets a payout 3:2, while if the dealer wins the player loses his bet amount. In that variation of the game played according to the rules explained above the house edge is 0.58%. However, if the game variation allows the player to double after splitting, the house edge instantly is lowered to 0.46%. Also important is the number of decks used in the game. For example, playing with eight decks of cards without changing any of the rules will increase the house edge for 0.02% and result in a house edge of 0.60%. Other rules that affect the house edge are peek or no peek, double on any or double on 9-11 only and etc. Since Multi Hand Blackjack has all the regular rules, the players are also allowed to place an insurance bet. After the player has received two face up cards and the dealer has received one face down and one face up card, the player is offered to place an insurance bet. If the player loses the game, the blackjack bet is lost. However, the insurance bet has a payout 2:1 and returns the lost amount to the player. In any case, the house edge on the insurance bet is always high and it is not recommendable to place insurance bets. The Scania OmniCity is an integrally-constructed transverse-engined low floor citybus available on the European market. The OmniCity is a complete product built in Poland by Scania AB, a company based in Sweden. Brad single $100 hand of Black jack in vegas!